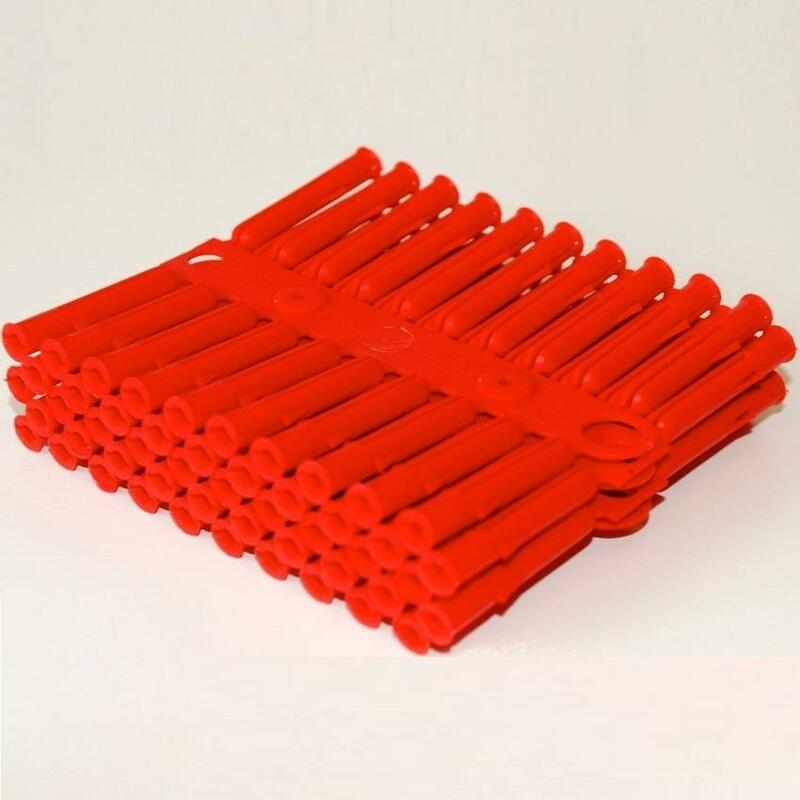 TALON Contract Red Wall Plug Fixings P2/100 are Ø5.5mm x 34mm wall plugs of polythene for light-weight installations in most building materials; designed for use with 6-10g screws; Pack of 100. - Dimensions (Ø x L), mm: 5.5mm x 34mm. - Suitable for screws: 6g, 8g, 10g (Ø3.5-5mm).